SUPRA IS BACK AND IN CHARGE! The ANC provincial task team (PTT) in the North West has been dissolved, while the disbanded provincial executive committee (PEC) takes its rightful seat, as directed by the Gauteng High Court. The ANC's top brass met with the PEC on Sunday. This comes after the Gauteng High Court in Johannesburg declared the ANC's decision to dissolve the North West's provincial executive committee unlawful. 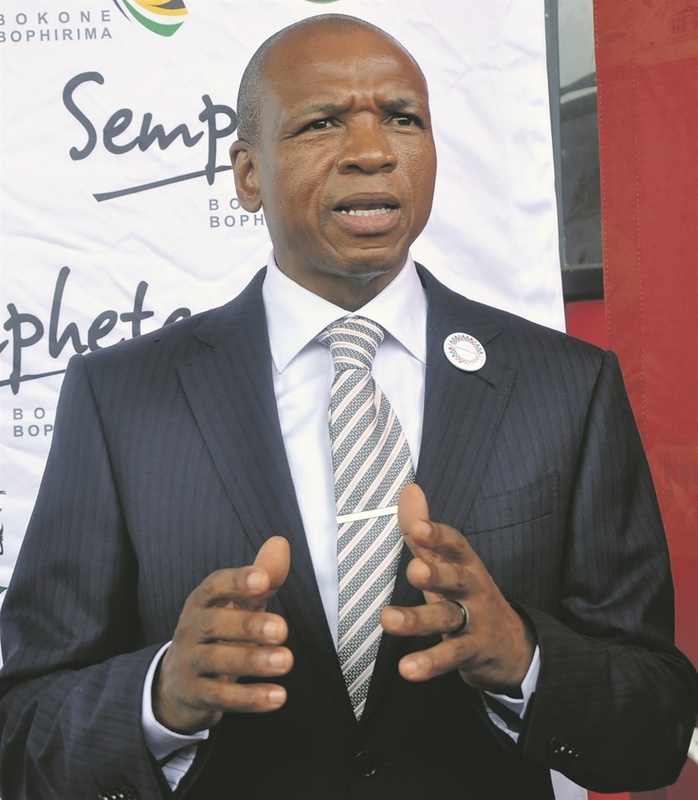 The ruling now sees the PEC reinstated, including controversial chairperson Supra Mahumapelo. Mahumapelo and four others successfully challenged the ANC's decision to disband the PEC. North West ANC spokesperson Gerald Modise told News24 that it was decided at the meeting with the NEC that some of the PTT's decisions were now nullified. This includes the reshuffle of MECs, disbandment of the Regional Executive Committees, and removal of mayors. It is understood that the party's National Rapid Response team, led by Deputy President David Mabuza, is expected to deliver a report back this week, after travelling to the North West in a bid to broker peace. In the meantime, the party says it is committed to unity as it gets its campaign on track for the May 8 general elections. At the PEC meeting, it was resolved that it will make proposals to the ANC Secretary General's office on a post PEC term of office. "Mechanisms of urgently bringing everyone on board regarding elections programme.. and developing a political approach that seeks to appreciate the concrete political realities of the province to end bickering and divisions among comrades," a post PEC statement reads. "There will be intensification of the elections program and the building of the Alliance in the province", reads the statement. The ANC has indicated that it plans to appeal the court ruling.